This is becoming an annual tradition for this Lake Tahoe restaurant. For the third straight year, the West Shore Café has been selected as an award-winning restaurant by Wine Spectator. Wine Spectator annually recognizes restaurants whose wine lists offer interesting selections, are appropriate to their cuisine, and appeal to a wide range of wine drinkers. West Shore Café’s wine list features a well-rounded, world-encompassing offering with an emphasis on boutique and small case production wines that are biodynamic, organic, SIP Certified, and embody green practices. Located in Homewood in North Lake Tahoe, the West Shore Café is an elegant, yet casual lakefront restaurant featuring indoor and outdoor pier seating with spectacular panoramic views of Lake Tahoe. To qualify for a Wine Spectator award, a wine list must present complete, accurate information, including vintages and appellations for all selections. Lists that meet the requirements are judged for one of three awards. 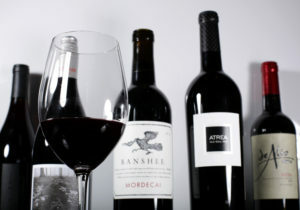 West Shore Café received a 2017 Award of Excellence, indicating the wine list offers at least 90 selections, features a well-chosen assortment of quality producers, along with a thematic match to the menu in both price and style. According to Wine Spectator, recipients of this award feature wine lists that deliver sufficient choice to satisfy discerning wine lovers. The 2017 award winning wine list, designed by West Shore Café’s level two sommeliers Lisa Small, Robert Dubben and Jennie Morris primarily features red, white and sparkling wine varietals from California, as well as selections from France, Italy and Spain. Dining guests are invited to enjoy “perfect wine pairings” that include selections from West Shore Café’s extensive wines by the glass list. For more information or reservations, visit www.westshorecafe.com.